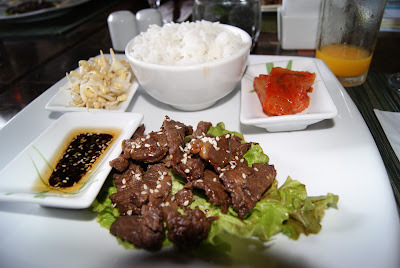 This is the version of Beef Bulgogi in Anvaya Cove, a typical beef bulgogi also from other Filipino restaurant. 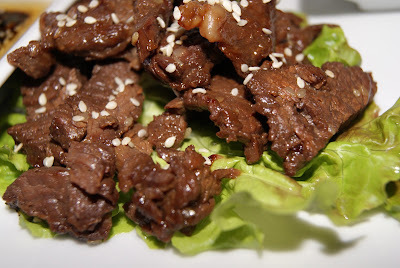 A version of Beef Bulgogi from a Korean restaurant will be my next Food Trip entry. looks good! the sesame seeds is an interesting addition. i never heard this one but it looks delicious. I so miss Korean dishes! so yummy! kakagutom...first time kong naka try nyan was when we went to South Korea last February. the only chance i got to try this was when i went to korea with my sister. it was really good! aww. this is really sumptuous!